Where Are The Yasawa Islands? 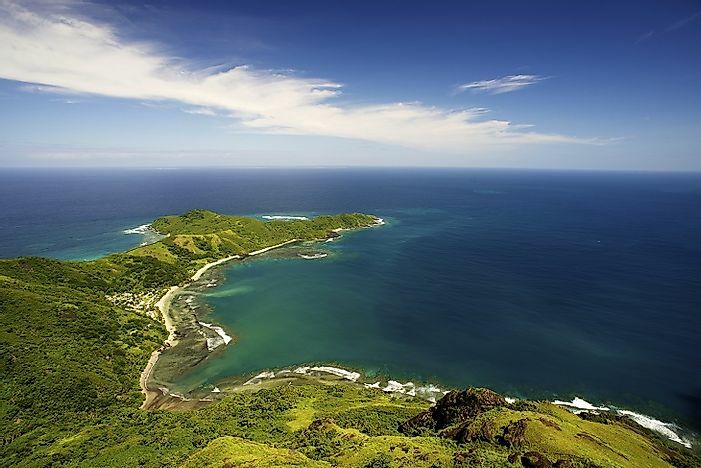 The Yasawa Islands are a volcanic archipelago in western Fiji. Tourism has been a major boost to the local economy since restrictions on such were lifted in 1987. The shores of Waya, one of the largest of the Yasawa Islands. The Yasawa Islands are a volcanic archipelago in western Fiji. The Yasawa has six sizable islands and 14 smaller islets that span around 25 miles with 820-feet high to 1,968-feet high peaks along its mountain ranges. The islands are on the western border of the Fiji islands. The tourists can get to the Yasawa Islands by a local airline seaplane. Helicopter and plane charters are also available. The catamaran Yasawa Flyer from Denarau island also drops anchor at the three resorts in the islands. The islands enjoy almost year-round, sunshine-filled climates that range from 31° Celsius to 26° Celsius. Although December through April brings higher levels of rain, March to November brings back the dominance of sunshine. The Yasawa Islands were occupied during World War II by the American military, which set up several communication outposts on one of the islands. Going back to the late Eighteenth Century, in 1789 William Bligh, an English Vice-Admiral Navy officer of the British Royal Navy, chanced upon the islands. Then, in 1794, Captain Barber on the HMS Arthur also made landfall here for the British. Then, in 1840, Charles Wilkes charted and surveyed the islands under the United States' flag. The later years of the 1800s brought Tongan pirates to the islands, desiring to procure sail mats from the islanders although trading was not the chief preoccupation of the pirates, as bartering ofttimes turned into thievery. Tourism has been a major boost to the local economy since restrictions on land-based tourism were lifted by the Fijian government in 1987. International tourists will encounter the proverbial sun, sand, and sea when they visit here. Grass-covered lands skirting white beaches and turquoise waters are the main features of the Yasawa Islands. Water sports such as sailing, kayaking, fishing, swimming, snorkeling, and scuba diving are just some of the varied island activities that attract tourists to the islands all year-round. The early 1980s saw several resorts doing business on Tavewa Island, one of the Yasawa Islands. Today, anyone can come to visit Tavewa Island, where tourists are seemingly most welcome. The other islands in the Yasawa group, meanwhile, are subject to visitation permits and other restrictions. The Yasawa environment and wildlife only adds to the travel experiences here, and memorable outdoor social outings can be gleaned from village visits and the telling of campfire stories. The movie aficionado should remember the 1980 film “The Blue Lagoon”, which was filmed in the Yasawa Islands. The islands of Fiji used to support extensive dry forests that were dominated by great stands of sandalwood trees, and biodiversity would have been inclusive of a collection of avian and invertebrate species. Grass owls and whistling tree ducks were once found in the drier habitats, the transition zones would have had Pacific boas and the Bolo snakes, and the coastal forests have pigeons, fruit doves, lorys, iguanas, and crabs. The native flora of Yasawa consists of sandalwoods, climbing ferns, bamboos, ficus, and palms. Human impacts have brought about one of the biggest environmental threats to the Yasawa Islands in the nation of Fiji. Introduced species of goats, cattle, pigs, mongooses, cats, dogs, and rats have all but decimated the native birds and lizards of the islands. The range of coastal forests here remains well above the endangered list, but human impacts are still quite sizable on the inhabited islands. Some islands in the Fiji chain are mostly grazing lands, while some are dominated by introduced exotic tree farms. Sugar cane plantations have also replaced dry forests in many places. Threatened areas are mostly empty lands where only sparse, low vegetation can be seen growing. There are a few dry forests remaining in the Fiji group of islands today, and every effort should be taken to ensure their survival, all the while expanding reintroduction efforts of the same into areas where they no longer can be found.